Worked at McDonald’s when he was in high school—credits this experience as shaping his focus and determination to get ahead later in life. Moved to Europe right out of college and ended up living there for 15 years. When he moved back to the United States, he took an engineering job at Wells Fargo, but quickly realized that even though he loved engineering, he didn’t love working for a financial institution. 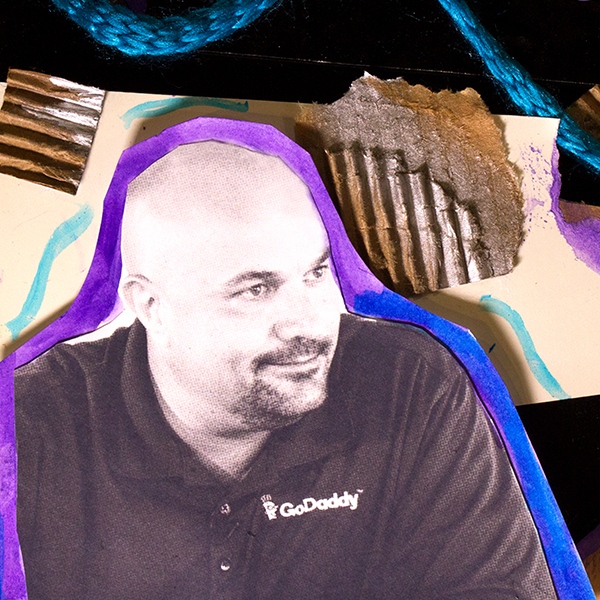 He took a position at GoDaddy in information technology where he was in charge of running their data centers and networks; he later became the CIO and led all of their engineering teams. The way he led his team and the culture he had built for them caught the attention of Blake Irving, the CEO of GoDaddy, who asked him to lead HR and develop that culture for the whole company. Believes in finding the “tack” path; just as a sailboat can’t sail straight into the wind, you have to be willing to explore, take chances, and find unique opportunities. Says there are three things that impact your career: what you’re good at, what you’re passionate about, and what the world needs—finding where those overlap is where you will find your purpose. I manage human resources and helped to build a company culture that is one of the best in tech. I use the perspectives and skills gained from leading engineering and development teams to recruiting and rewarding the best technologists in the world. I work with my team to develop a company culture that enables people to build the best products they can. I am often problem solving and working with others to meet their needs. There are always gaps where work needs to be done. Find those gaps and make yourself invaluable. "I'm an engineer. I can't manage HR." I had to embrace the challenge and believe in myself. I eventually realized that moving from engineering to HR had similar problems. In engineering, things break and, with HR, people break.